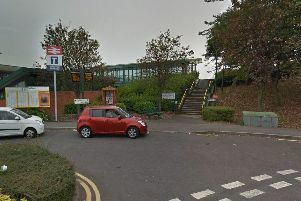 Drivers in Sheffield have been named as the worst in Yorkshire for parking dangerously and illegally outside schools. An investigation by The Yorkshire Post revealed that in 2016, 4,375 fines were dished out to the region’s drivers for parking in restricted areas outside schools, including on keep clear markings or yellow lines near school gates. And during the first three months of this year, a total of 1,360 penalties have been issued, indicating that the number is set to rise. The figures obtained under the freedom of information act are expected to be even higher, as a number of the 12 local education authorities that provided figures, stated that other contraventions could have occurred, however the data was too difficult to retrieve. The highest number of fines were doled out in Sheffield, with 2,842 issued in 2016 and 841 in January to March this year. Drivers in the city were charged for a catalogue of parking failures near schools, including parking on a pedestrian crossing - 24 motorists were guilty of that last year - and parking on double and single yellow lines, which saw 1,222 drivers break the rules in 2016. Sheffield Council revealed in January how 113 primary school aged children had been injured - 32 seriously - in crashes across the city occurring at school pick-up and drop off times over the last five years. The authority recently teamed up with South Yorkshire Police for a crackdown on dangerous parking outside schools. In February, police were called to Carfield Primary School when tempers flared over a demonstration staged by parents. Parent and governor of eight years James Norton said: “There are a minority of selfish individuals who think the rules don’t apply to them and they can park on zig zag lines. “There have been a number of near misses and sometimes you even get drivers reversing into the school gates area past children. Mr Norton said it had been an ongoing issue at the school. which is situated on a narrow cul-de-sac, for more than a decade. He said: “The problem is the school has no authority to control anybody else’s behaviour outside the gates. This lies with the highways agency and the police and it’s a complex bureaucratic issue.